If interested in discovering the works of the Romanian architect Ion Mincu and the national Neo-Romanian style architecture, contact me to arrange a guided private tour of iconic Neo-Romanian landmarks in Bucharest. Or, take your time and browse through my Bucharest city tours to choose the one which suits you best! 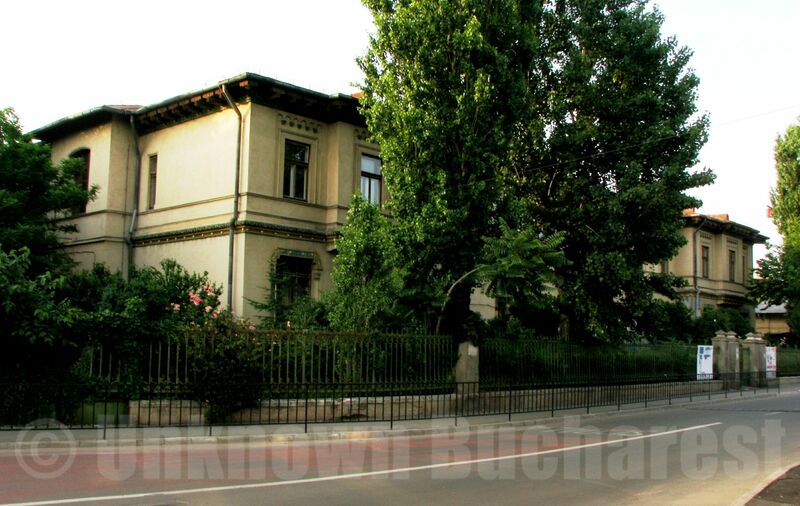 Ion Mincu (1852-1912) was a prominent figure of the Romanian architecture in the 19th century, acknowledged as the creator of an original national architectural style, known as the Neo-Romanian. Mincu graduated from the Engineering School of Roads and Bridges in Bucharest in 1875, and continued by studying architecture at the École des Beaux-Arts in Paris where he was a student of the famous French architect Viollet-le-Duc. The Grand Prize awarded from the Central Society of French Architects allowed him to make a study trip in Spain, Italy and Greece. In the last decades of the 19th century, Europe was dominated by the idea of the affirmation of national identity in arts. Returning in 1884 to his country, which had only recently achieved its Independence, Mincu was convinced that architecture, as a means of artistic expression, can serve the national interest the same way painting and literature do. 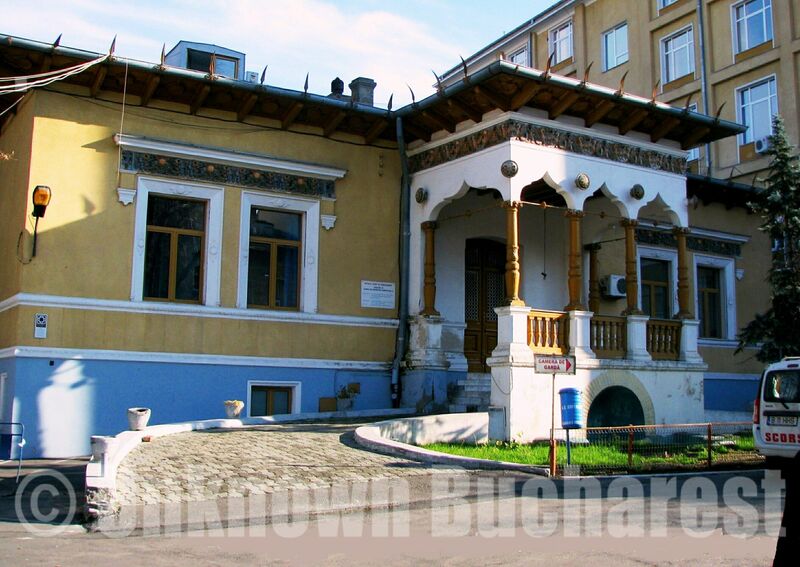 He studied reference monuments of the Romanian medieval architectural patrimony -both secular and religious- such as the Brancovan Palace of Mogosoaia, as well as the Wallachian folk architecture. From these models Ion Mincu took over technical and stylistic solutions, and integrated them into an original synthesis, creating a new national architectural style, the Neo-Romanian. The “manifesto” of the new style was Casa Lahovary (1886). 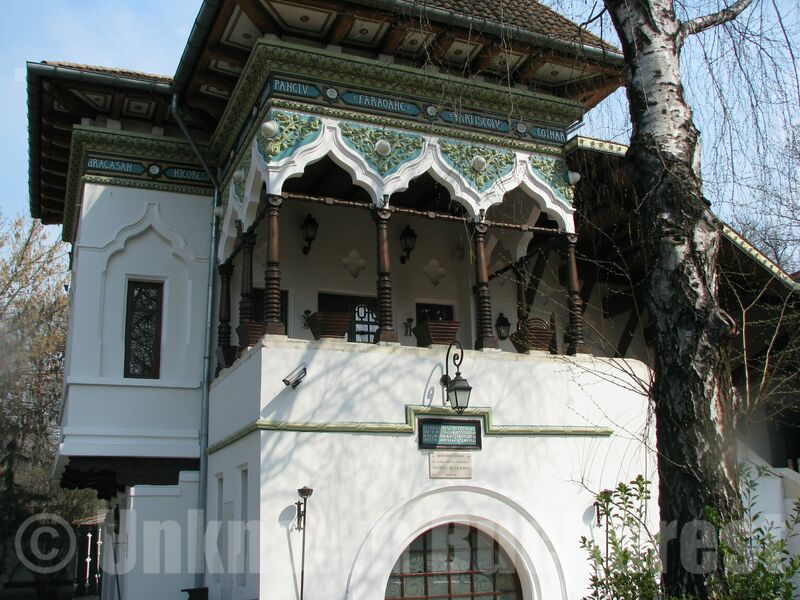 Casa Lahovary (“The Lahovary House”) preserves the general symmetrical layout of a traditional peasant house with a central hall (Romanian “tinda”) and rooms on both sides. To that, the architect added an innovative porch, something between the traditional raised veranda and a roofed entry with access ramp. The large eaves with carved brackets became recurrent in Ion Mincu’s similar theme works. “Casa Lahovary” remarkably rendered “the simple monumentality of our peasant architecture [“monumentalitatea simplă a arhitecturii noastre ţărăneşti”]. The stunning veranda is the conspicuous architectural element of the Kiseleff Roadside Tavern (1892) (‘Bufetul de la Șosea’), which was initially designed for the Romanian pavilion at the Paris World Exhibition in 1889. 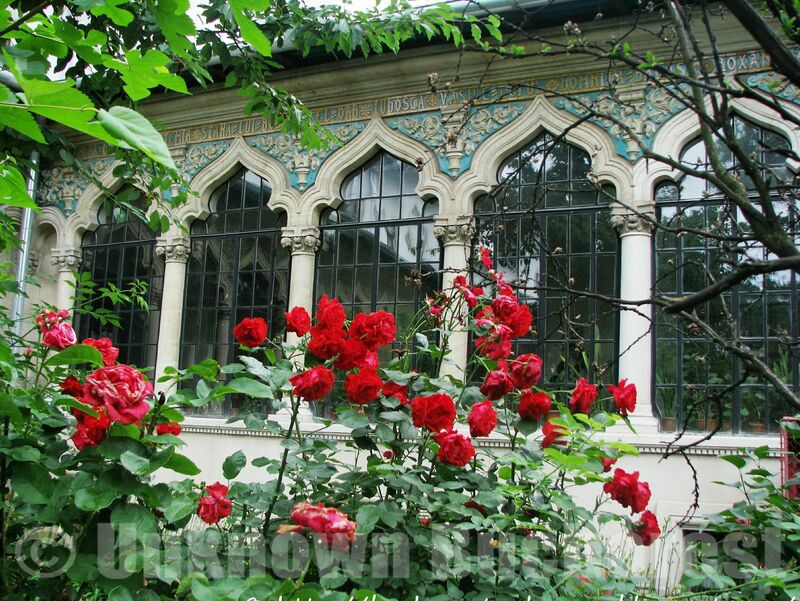 Together with “Casa Lahovary” (1886), this construction is emblematic of the national romantic architectural style, presenting all its specific elements: accolade shaped arches, carved wooden pillars featuring folk motifs, torsade, enameled ceramic. The construction delights by the picturesque asymmetry and the combination of volumes. The Kiseleff Roadside Tavern is regarded as the most successful expression of the Neo-Romanian style. Presently known as “The Central School for Girls”, this building completed between 1890-1892 was conceived at the time for the “Princely Boarding School for Girls”. The school is composed by a rectangular building enclosing a chiostro, similar to a monastery precinct, conveying classical harmony and balance in a perfect blend between aesthetics and functionality. A most remarkable component of the edifice is the glazed arched gallery running around the courtyard. The glazed structure in fine metal frame and the accolade-shaped arches are references to the Bucharest’s 18th century architecture of Ottoman-Oriental influences. A spectacular glazed ceramic frieze adorns the arches. The same enameled ceramic in yellow and green is found on the façade, at the windows and at the small medallions with the school’s monogram. Inside, the large gallery with walls painted in intense Pompeian red and ceiling in vivid colors, is flooded with light entering through the fine mesh-glass network of large arches. The gallery conveys the sensation of “being outside”, in the spirit of the architectural trends of the time, originating in the Japanese architecture, that promoted the “continuity” between outside and inside. 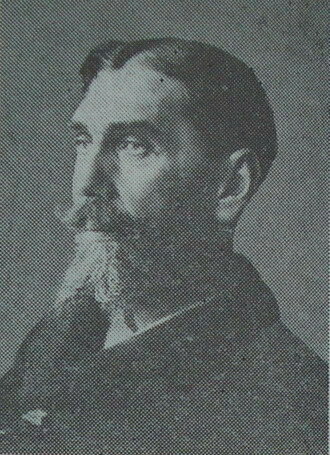 Mincu is the creator of the National architectural style and the founder of the architectural education in Romania. In recognition for the exceptional contribution to the development of the national school of architecture, since 1953, The University of Architecture and Urbanism of Bucharest bears his name.